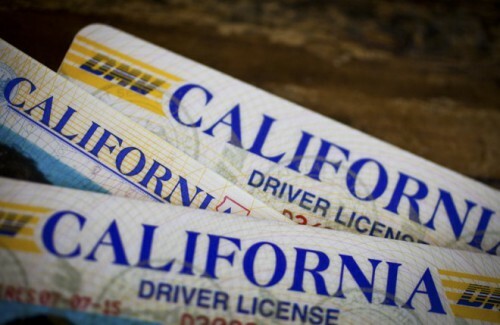 On Friday, Governor Brown vetoed SB 249, sponsored by Democratic Senator Ben Hueso, a measure to create “enhanced” driver’s licenses (EDLs) to be used as an additional border-crossing identification document available only to U.S. citizens. The bill would have authorized the Department of Motor Vehicles to enter into a memorandum of understanding with the U.S. Department of Homeland Security, allowing the department to issue “enhanced” driver’s licenses, provisional licenses and identification cards. The bill would have authorized the Department of Motor Vehicles to issue driver licenses embedded with radio frequency identification (RFID) computer chips that broadcast personally identifying information to an electronic reading device for the intended purpose of crossing U.S. borders. The bill was supported by cities and chambers of commerce along the Mexican border, believing that it would speed up long wait times. However, groups like the ACLU were worried about several features of the bill, including the microchips embedded within the license, which would contain personal identifying information that would be readable from up to 30 feet away and therefore posed a risk of tampering – and could be used for racial profiling. “It is a relief to know Governor Brown vetoed SB 249 and that Californians won’t be carrying unencrypted driver’s licenses that could subject us to tracking, profiling, and identity theft,” said Nicole Ozer, Technology & Civil Liberties Policy Director with the ACLU of California. The ACLU was concerned that this technology was insecure ten years ago, when the Department of Homeland Security (DHS) under President Bush first introduced these licenses. At the time, DHS admitted that the personal information stored in these chips could be read from a distance of up to 30 feet. The bill would have significantly reduced wait times at the border while strengthening border security. The ACLU would have dropped opposition to the bill but the Senator Hueso reportedly nixed a data-encryption requirement and a ban that would have prevented companies from requiring workers to get the licenses. Senator Hueso highlighted privacy protections such as protective sleeves that prevent hackers and thieves from reading a license and agreeing not to store personal information on the chip – measures that the ACLU rejected as insufficient. Does this mean that we will need to have passports to get through airport security in the near future? It doesn’t change the status quo at all. Good call, Governor. This bill was very poorly thought through. Nice to see someone in Sacramento is awake.